We GUARANTEE that you’ll get your security deposit back*! Merry Maids are experienced at helping tenants in rented accommodation keep their landlords and lettings agents happy. Merry Maids, when used on a regular basis, can keep on top of your cleaning (so you don’t have to!) and we GUARANTEE that you will not lose your security deposit on the basis of your property being left unclean at the end of your agreement. We offer weekly, fortnigtly and monthly cleaning services and will work around you and your requirements. Not only that but if you sign up to our weekly or fortnightly cleaning service for the duration of your tenancy, we’ll give you a FREE end of tenancy clean as well! You’ve got enough to deal with when you’re moving out of your rented accommodation…removal van to book, utilities to contact, new property to move into…the last thing you need to be worrying about is whether you’ve left your accommodation in a clean enough state to get your deposit back. That’s where Merry Maids come in. We GUARANTEE that you won’t lose your security deposit on the grounds of the property being unclean if you use us to carry out your end of tenancy clean. We can even organise carpet, upholstery and hard floor cleaning thanks to our sister company ServiceMaster Clean. We’ll organise it all so you can concentrate on moving. 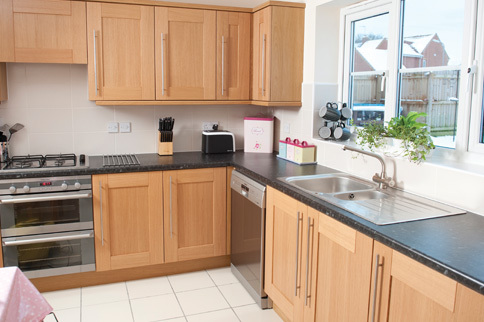 Cleaning services tailored to customers in rental properties…from the experts at Merry Maids. Contact us now for a FREE, no obligation quotation.